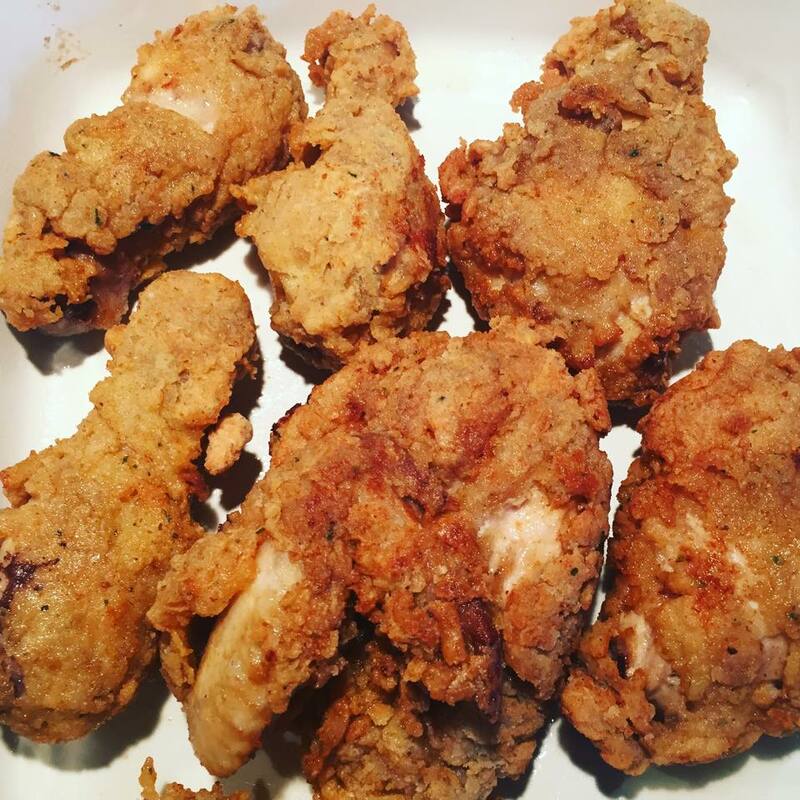 This is my KFC version at home. It does not have the secret ingredients or the 11 secret herbs. However, it is super delciious and pretty sure it is made of 100% chicken 😉 In Egypt, KFC is pretty different from the one in USA. They have different types of sandwiches and side dishes. The chicken taste the same though, the spicy one is more spicy in Egypt and crispier as well. I simply LOVE KFC but I think it is safer to make them home. Also, you have the option to skip the frying altogether and bake the chicken directly in the oven in a baking dish that is brushed well with olive oil. This version has both frying and baking, but, I baked my piece directly in the oven for longer time and it was tasty too. 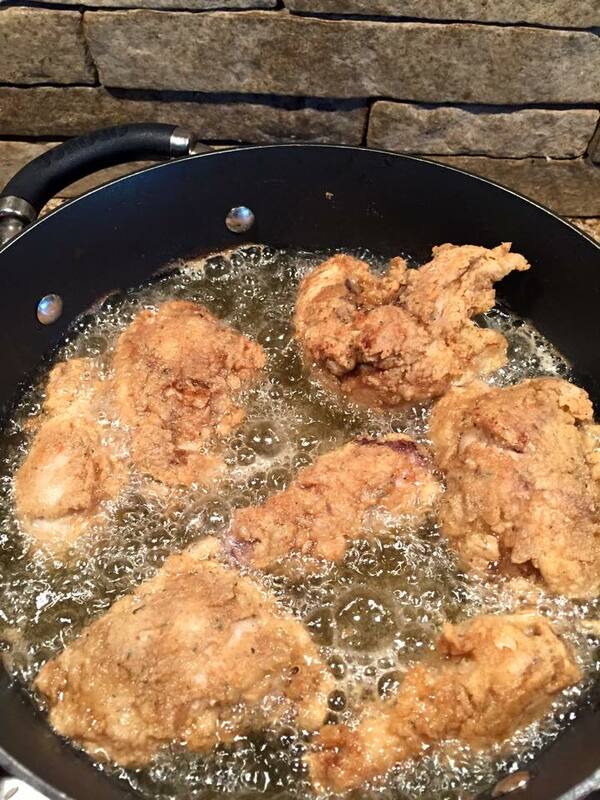 However, fried is better, who am I kidding?! 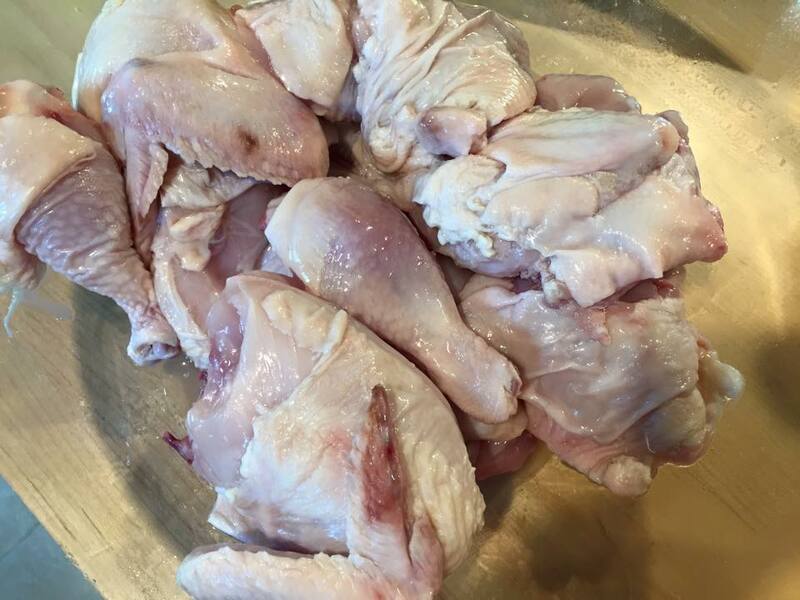 Cut the chicken into 6 pieces or more. Mix the cold water with the brine spices and add the chicken pieces in it. Cover and place in the fridge for at least 2 hours. Mix all the spices under the spices section above together in a ziploc, including the dry milk powder. 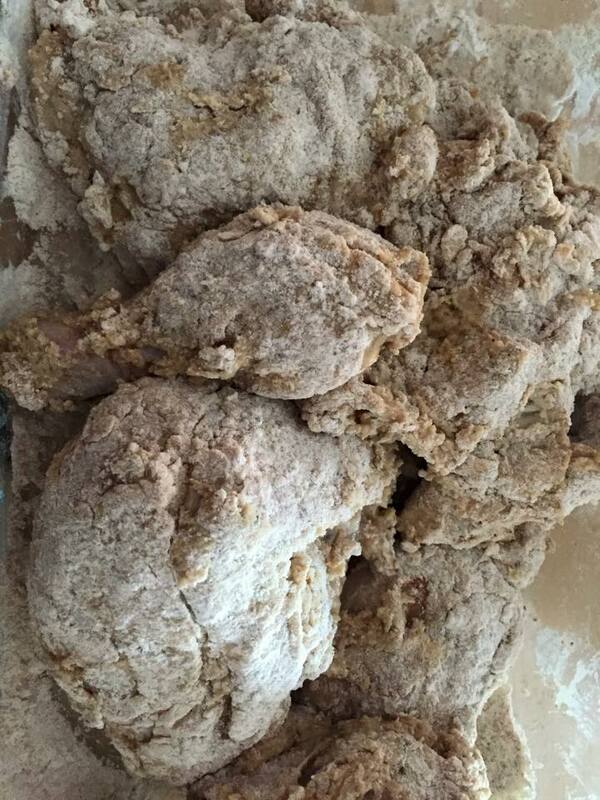 They will be used for both the marination and the breading. Take the chicken out of the brine and pat dry it with towels. 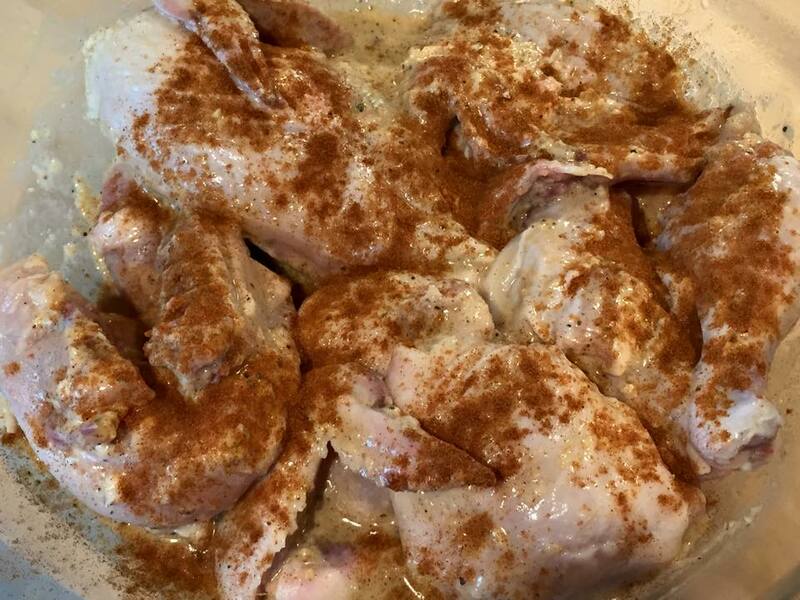 Mix the yogurt, onion juices and half of the spices from the ziploc and cover the chicken pieces with. Add more salt and pepper to the chicken. Set in the fridge for at least 1 hour to marinate. 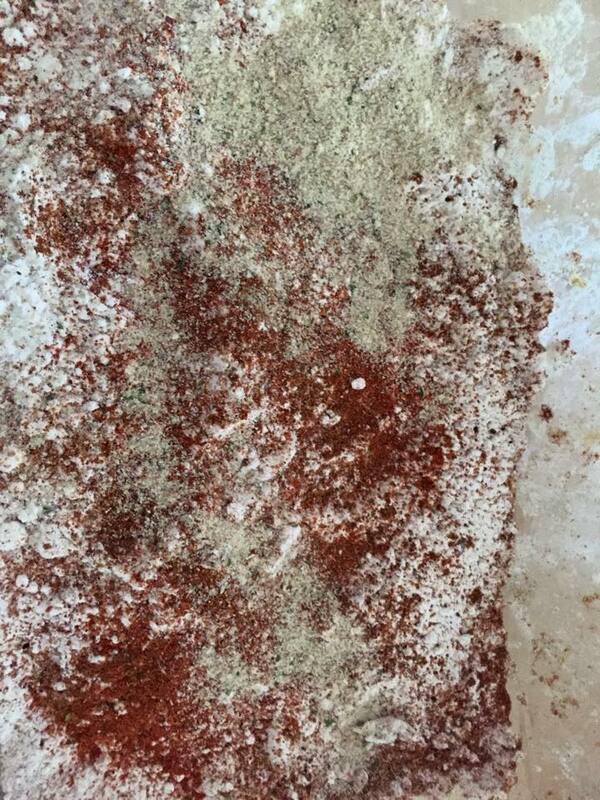 Mix half of the spices from the ziploc with the flour and bread crumbs. Beat the eggs and the 1/4 cup of milk together in a deep large bowl. Now, follow the pattern of FEF: cover the chicken with flour mixture, then dip it in egg mixture then cover it again with flour mixture. Set aside. Repeat for all chicken pieces. Deep fry in a hot oil until golden brown. Take out and place it in a baking dish that is slightly brushed with olive oil. Finish it in the oven at 400 degrees for 15 minutes.